Sales managers have been beating the concept of business development achieved through cold calls into sales professionals for decades. When I first started in sales at AT&T in the 1980’s, I had to go through a “role play” scenario where I made the initial appointment, sat with the client and fact found, then developed and presented a solution based program. My skills were “assessed” by a team of sales managers and trainers and I was hired because I followed what was considered proper process. I was practicing “Sales 101”. The first type is people who have large capital to invest and fund the start-up of the organization. This is the true wildcard. Many of these people come from financial backgrounds, and feel the best way to run a profitable company is to watch every dollar and purchase the lowest priced product or commodity on the market. In the short term, this approach may save money, but the lowest price isn’t always the best option. In addition, most of the companies run by those with financial backgrounds look to buy low, and then sell their own product high. This inconsistent approach will in the long run, most likely cause the business model to fail. The second type of executive is those that have worked their way up the corporate ladders, either through operations or sales. These are the most difficult folks to cold call. They’ve been through the ringer, know the “ropes”, and have used all the “tricks of the sales trade” that get taught to up and coming sales personnel. Problem is this type of executive often manages today’s sales people, and employs yesterday’s sales management statistics (number of cold calls x close ratio = number of sales). This just doesn’t work. If you have a 2% success rate of presenting a proposal via cold calls, neither you nor the company will ever make any significant revenue. Think of the major league baseball player….if he had 2 hits per 100 at-bats, he’d have a 0.020 batting average and would be out of baseball within weeks. Why sales managers keep pushing the cold calling technique with results like this is puzzling? So how do we develop new business leads, contact the appropriate decision maker, and close the sale? Today’s intelligence explosion through the internet and other social channels is the wave of the future. Every show I watch on TV is trying to get their message (product) to “trend on Twitter” or be “liked on Facebook”. Many of us have fought the evolution of social media’s usefulness, but we need to accept the fact that it’s here to stay. Next time you’re sitting at home, watching your favorite show, pay attention to the “pop-ups” on the screen, telling you how to “follow” your favorite actor, or “like” your favorite product. If social media is working for the most successful shows aired today, why can’t it be successful for your product and brand? It most certainly can. Let’s look at a quick scenario…..last time you were interested in purchasing a new product, whether it be a TV, a car, a plane ticket, or almost any other commodity, how did you buy it? Did you run down to the closest store and buy the first one you saw? Maybe….but most likely you researched it on the internet and compared your options. This is what we need to accomplish for ourselves in our professional career. If you are in sales (or looking to get into sales), sign up for Twitter. Start following a few people within your industry and before long you’ll begin to build a list of “followers”. As your list builds, you will see your name start to appear more prominently within the various internet search engines, creating a presence for yourself. If you work this over time, you will begin to see prospects contacting you, looking to buy your product. Most decision makers today will search on the internet for a supplier, and the more prominent you name is in the search results, the better your chances of being contacted. I have written several previous posts about additional methods to assist on developing brands and increasing your search results. Check out “Can Twitter Really Do That for Me”, posted on 5/11/2011 and “Social Power by Use of Personal Sites” posted on 10/26/2010 for some more specific info on building a personal brand. I’d enjoy hearing any suggestions you may have to help build a brand and drive customers to your sites. The more input we are get, the quicker we’ll develop new sales techniques to succeed in today’s information age. Communities need to explore going Green……. Today’s town and city budgets are growing tighter and tighter. Reduced tax revenues from high unemployment, rising medical and retirement costs for employees, and simple inflation causing ever escalating prices for the everyday items needed to operate a community combine to put a strain on any budget. As a result, any type of program providing a surplus of cash flow can be invaluable. LED lighting is the latest program to be offered to the towns and cities throughout the United States. Not only does the installation of LED fixtures and bulbs immediately reduce energy costs, the lights have many more benefits than you might think. Let’s explore a few of them…. Unlike CFL’s (compact florescent lights), LED bulbs light immediately, with no warm up period. LED’s have a life span of up to 100,000 hours of use, meaning there is less maintenance costs associated with them. There is little to no UV light production from LED bulbs, making them the perfect solution for anything that may be sensitive to light exposure. LED’s provide much better lighting than standard incandescent or CFL bulbs, improving night time visibility. Perhaps the best part of LED (other than the savings in energy) is their durability. With no filaments to be broken, they are a great retro fit for street light and traffic signals. They can withstand the rigors of New England’s harsh winters with little problem. ﻿﻿﻿﻿﻿﻿ The program is simple. With a quick 15 minute phone call, a preliminary quote can be produced with as little information as number of light fixtures and bulbs used throughout the community, the wattage of the bulbs, number of kilowatt hours used, and the rate the community pays the utility company. Within a few days, they’ll have a customized project quote for their community to take back to the appropriate approval personnel to review. Within a few months time, a significant cash flow savings can result. In addition, all rebates from the utility companies remain the property of the town or city. Sounds great? It gets better. In a big city, it’s not uncommon to have 1 street light per 20 residents. In a city of say 500,000 people, that’s 25,000 street lights. In today's economic situation, creating jobs is a primary focus of a city or town's managment, and this LED project will create jobs. Contact me to get additional information on the program and to review available payment terms for the program. From day1 of the installation, the city or town has realized substantial energy savings. The reduction in energy costs can exceed the monthly program costs often by as much as 40%. On a $200,000 monthly energy bill, they could see as much as a 40% reduction. Capturing the Mobile Consumer…..Where Do I Start? Today, there are more than 311 million people living in the United States and according to the CTIA Wireless Association, there are more than 300 million active subscription plans to some form of wireless service. A wireless service subscription can be many different types. There are the wireless internet cards you can buy for your laptop, which gives complete mobile access to the internet from your laptop anywhere your carrier has an available network. There are monthly plans you can purchase to obtain wireless access to public “hot spots” like coffee shops, diners, airports, etc. I have found these to be of limited value as the “hot spot” must be using the network you have enrolled in or else it is useless. We are seeing a tremendous expansion of the mobile web seen on today’s cell phones. Most cell phone today come with a browser which allow you to access the internet with the add-on purchase of a data plan from your carrier. Next we get to the “Smart Phones”. Today’s hot phone is the iPhone 5. Android, Window 7 phones, and yesterday’s favorite, Blackberry, all make smart phones which give access to the internet via the various carriers’ wireless data networks at speeds up to 4G. (4G stands for “4th Generation” of cellular standards for those of you who are wondering). And let’s not forget tablets. Apple developed the iPad and launched the product in April 2010. The product sold 3+ million units within the first 80 days to market. Since then, we’ve seen similar products produced by companies like Blackberry, Sony, HTC, Dell, and many more. We are smack dab in the middle of the wireless revolution. With the birth of the smartphone and tablets, a new channel of marketing has evolved to present product offers to wireless subscribers. Today’s consumers start their day at the kitchen table reading the paper online, continue to check email and stocks on their smartphone on the commute to the office, take their tablets to lunch to review the latest version of their presentation or check on tonight’s big game, then finish the day on their laptop again reading “tweets” on Twitter or posting to their Facebook accounts. Sounds like a lot of wireless? It definitely is. But if a company manages their advertising budgets properly, they can take advantage of it. According to a recent US Census Bureau report more than 48% of total US retail sales were made online. I strongly suggest to those business development professional that now is the time to embrace wireless, not run from it due to budgetary restraints. Direct some of your marketing budget towards starting a wireless marketing campaign. If you do nothing else, at the bare minimum, make sure your company has a mobile web friendly landing page. There’s nothing better to show off your business than having a professionally developed mobile page pop up for the consumers searching your product line. Identity theft….Credit Card Protection….Data Breach….Fraud Alert….Credit Freeze. All phrases no one wants to hear but they remain front and center in our lives. Let’s face it, we live in a world where crime rises as the economy falls. As people lose their jobs or become “under-employed”, they may become desperate to meet their financial obligations. And unfortunately, sometimes people turn to crime. Crime is not always robbing a bank or breaking into a home or business. Sometimes it becomes a bit more personal……identity theft. We are seeing a dramatic rise in identity theft. According to the Washington Post, there were more than 8.1 million victims in 2010 alone. By capturing some basic information like social security number, date of birth, and address, thieves can open new credit card accounts, bank accounts, and even make major purchases like cars in YOUR name. Any of you who have experienced identity theft can attest to the time and expense it takes to repair your name and credit ratings. Individuals have become more aware of the threat of identity theft. Many families are shredding their personal information like charge card receipts, bank statements, utility bills, checks, etc. before disposing of them. While this habit certainly helps, an individual needs to do more. 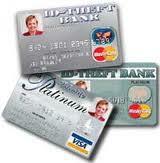 Businesses have been fighting back, by participating in programs like “PCI Compliance”. PCI Compliance is a standard set by the credit card industry to ensure secure handling and data retention for credit card transactions. Compliance includes a checklist of steps like criminal background checks on employees, encrypting the data transmissions of sensitive information, using and maintaining anti-virus software within a data platform, and more. If a business does not adhere to PCI compliance regulations, and a data breach occurs, the compromised business may be subject to additional fines and/or penalties. A data breach can be extremely costly to a business. According to Information Week, the cleanup of the latest Sony data breach of their Playstation network will cost the company upwards of $171 million! 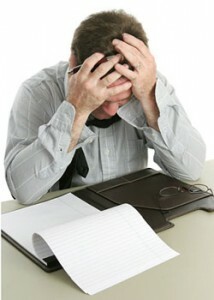 Many businesses have begun purchasing insurance programs to provide coverage for credit repairs should a breach occur. Many of these are limited programs and provide only notification, not assistance in repairing the damage. Those services come as an extra cost on many polices. A new trend is developing in the market that is little known to the consumers. Businesses are purchasing identity theft solutions for their data bases, which can be upsold to provide comprehensive coverage to the consumer for a dramatically reduced price. Because the large corporations have the power of a substantial subscriber base, they are able to negotiate favorable rates for their customers. These programs are being packaged as another “benefit” to being a customer or member of an organization. Comcast is the latest example of a business to roll out a program for it’s customers, calling it “Constant Guard from Xfinity”. Whether you have a business looking to add an identity program to your suite of products or an organization or union looking to add benefits for your members, contact me @Davehanron on Twitter or via email at Dave@davehanron.com for more information on the available programs. Today’s economy is definitely going in a downward spiral. Companies are making personnel moves to cut costs to remain profitable. After 5+ years of economic downturn, are ongoing layoffs and operating budget cuts still the answer? In any economic model, the basic principle of “Supply & Demand” can be applied. Is it a sound financial decision to continue to reduce a company’s payroll and marketing budget (which will reduce the “Demand” side of the equation as fewer new customers are brought into the mix, in turn reducing the “Supply” side of the business which is represented by the company’s products which generate the revenues necessary to run the company) to keep profits and EBITDA (a widely used term by those in finance, “Earnings Before Interest Taxes Depreciation & Amortization) at a targeted level? Let’s talk about that for a bit……. By cutting marketing and advertising budgets, a corporation can certainly give the appearance of maintaining profits at an acceptable level. But is that decision a wise decision by the company’s executives in the long run. By cutting marketing, future sales will inevitably be lost….and new sales are the lifeblood of any company’s future. Many of today’s marketing efforts rely on the use of social media. While social media may seem “free” to the individual user, the cost for corporate programs can reach as high as $10,000+ per month. The problem we face is being able to quantify the value of social efforts. 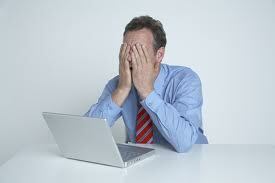 Implementing and maintaining a sound social media program can be extremely labor intensive for large corporations. In order to justify the budget required to maintain the social media efforts, the program directors have the difficult task of demonstrating the “Return on Investment” or “ROI”. Demonstrating ROI on a social media program has been debated over and over recently and there are many opinions on how to do it. Some companies count “Followers” on their Twitter account, some look at “Friends” on Facebook, others look to reviews on Digg or Yelp as a success. But how do you turn this into real dollars when trying to present to a Board of Directors looking to slash the budget? Ultimately, there is no right or wrong answer. It is individual preference on how to present your case. I’ve always kept track of prospective customers generated by my social media efforts and could easily track the closed sales resulting from them. But I’m only one person. When we talk corporate level social media with hundreds of people working on it, the reach of ROI becomes exponentially larger and more difficult to demonstrate. If you have had success representing ROI from your social media program or have any ideas or thoughts on how to do so, I’d be interested in hearing them and helping everyone learn from your experience. Blogging…it’s exploding into quite a phenomenon these days. Blogs are really great tools to add to your social interaction. They can be used for all sorts of things, from promoting your business, to voicing your opinion about a current event, or simply to keep your friends and family updated on family affairs and vacations. Any form of advertisement, whether it’s a TV ad, radio ad, newsprint ad, internet pop up (we all love those don’t we?) or a blog, is only as good as the amount of views it receives. That is clearly demonstrated by the difference in price for the various types of advertisements. For instance you might pay $50 for the week to run a classified ad in your local paper or you could pay upwards of $3 million to place a 30 second TV commercial on this year’s Superbowl broadcast. Today there are literally millions of blogs. According to Pingdom’s latest statistics, there were more than 152 million blogs at year’s end 2010. With this many blogs available to read, how does the average blogger drive traffic to his/her blog? There are loads of ways to drive traffic to your blog and opinions vary across the board on the best ways to do so. There are several methods that I use but the first and in my opinion (IMO) perhaps easiest method you should try and consistently use is to create backlinks. What is a backlink? According to Wiki, “Backlinks, also known as incoming links, inbound links, inlinks, and inward links, are incoming links to a website or web page. In basic link terminology, a backlink is any link received by a web node (web page, directory, website, or top level domain from another web node. Inbound links were originally important (prior to the emergence of search engines) as a primary means of web navigation; today, their significance lies in search engine optimization (SEO). So how do you start creating backlinks to your blog? Here’s where the opinions start to vary and hopefully my readers will supply some feedback on their techniques. You can use any number of free or pay per use programs on the web which will create these for you. Some seem to work (www.yousaytoo.com is one I use) better than others or you can start creating your own by simply reading other authors blogs and posting comments on them. When you leave a comment, be sure to leave your name as the author of your blog appears (I use “The Business Outsource Guy”) and most importantly, leave the link to your website where your blog appears under the URL field. Once you've followed these simple steps, congratulations! You've created your first backlink to your blog. It takes some time to get the backlinks going but if you follow your blogs statistics (and you should be! ), you will gradually start seeing the hits rise on your page, indicating you’re expanding your reach and growing your blog. Try to spend some time each day, reading blogs and posting comments and in a very short time, you’ll begin to reap the benefits of your new blogging strategy. Hurricane Irene….another big topic for social media. As the latest hurricane swept up the east coast of the United States last week, millions of storm victims stayed in touch by using the various forms of social media. Twitter was feeding the local news casts with up to the minute local events like downed trees, power outages, flooding rivers, and more. Fox 25 Boston spent a good portion of their storm coverage simply reading their “tweets” directly from the web. Facebook users were also heavily engaged. My small following of Facebook “friends” were busy posting news about trees down in their yards, tales of sad children with no power to watch TV or play video games (remember those days? ), etc. Those without power were typing away on their smartphones and iPads. In the days following the storm, Twitter and Facebook were used extensively to criticize the power companies for the perceived lack of attention to the power outages. Whether true or not, residents of the Boston suburb of Foxboro were particularly harsh in their opinions of Gillette Stadium getting power restored in time for the New England Patriots’ Thursday night home game against the NY Giants while the majority of the town remained without electricity. The Patriots owner, Robert Kraft, and his staff reacted to the story swiftly, explaining that the home of the Patriots actually ran off a sub-station in the nearby town of Wrentham and that the Patriots had paid a substantial sum to the local power company in 1996, National Grid, to have upgrades done to the substation in case of an outage. According to James Nolan, senior vice president of operations, administration and finance for the stadium and the Patriots, ''This would guarantee that we would still have power if the feed was lost from one of the substations,'' he said. Mr. Kraft also reminded people that the New England Patriots and his other business interests had donated the use of their privately owned backup generators to the town to help provide emergency power for key locations in Foxboro. This story is a great example of how monitoring and reacting to social media feeds can have a dramatic impact on a business brand. While the Patriots were initially subject to criticism because of perceived favoritism by National Grid, they did a great job of turning it around by explaining to the public they had not only funded the improvements to the substation, but that they also had donated their own private generators to the town. What could have been a publicity nightmare was handled swiftly and professionally due to the presence of a social media monitoring and engagement program. IMO, I think the Patriots should be commended on their handling of this potentially damaging publicity, and their quick actions of presenting their side of the story. As more and more people are exposed to social media, the need of monitoring will continue to grow exponentially. As I’m sure mostly everyone is aware, Sony’s Playstation 3 on-line network and Qriocity streaming video and music service were hacked and were offline from April 20, 2012 to May 14, with all services restored by May 31, 2011. According to Sony, as many as 77 million subscribers may have subject to privacy invasion, involving sensitive information including credit card numbers, security information, and purchase history. According to a story published in the International Business Times, Sony has issued apologies for the breach and vowed to pay damages to affected users. The problem this brings to light is how do today’s businesses protect themselves from these types of data breaches going forward? In today’s information age, the likelihood of future identity breaches is a constant threat. There are identity protection services popping up all over the internet. If you were to “Bing” identity theft companies, you’d get over 2.4 million results. Google provides even more stunning results, more than 14 million companies providing the service! But should the Consumer have to pay for this protection themselves? Many people do….but is it necessary? A little known fact is that the government passed an act called the “Red Flag Rules” as part of the Fair and Accurate Credit Transactions Act in 2003. In summary, this Act requires financial institutions and creditors to provide for the identification, detection, and response to patterns, practices, or specific activities, known as Red flags, which could indicate identity theft. These programs are required to be in place by November 2009. It would seem it would be worth a phone call to your utility company or other monthly creditor to determine whether they have an identity program you can participate in. Ask for the company’s position and business plan for “Red Flag Compliance” and you may just avoid the cost of a personal identity protection program. Years ago the idea of individuals publishing regular articles on the internet was crazy. Today, the number of personal blogs is estimated to have exceeded 100 million. WordPress alone has more than 47 million blogs and counting. There are more than 300,000 new posts written per day and more than 250,000 comments generated. There are some simple tips to starting and maintaining a successful blog. First step is to select a hosting platform for your efforts. Wordpress.com is a popular choice but there are many others to choose from. Spend some time “Google-ing” free blogs hosts and you’ll find a vast selection to choose from. Next, you need to decide on a topic niche. You’ll want to stay pretty focused on a particular topic so you can engage your readers and develop a following. It’s ok to stray once in a while if you have an issue of great interest. I wrote one about Derek Jeter joining the Red Sox when the Yankees were have contract trouble with him last winter. Here’s a tip I highly recommend you follow. The blog host you choose will have an option for you to compose your post directly within their software. Don’t even think about doing it this way. After learning the hard way, I now write my posts in Microsoft Word and then copy and paste into the blogging software. You’ll understand why if you ever have lost your internet connection. You lose all of your previous work and have to start all over. Start distributing your blog posts to your close friends via email. If they like your writings, ask them to share with their friends. You’ll start building a distribution list which will grow as you become more active. Follow these simple steps to get started on your blog and remember to have fun with it. It can be an enjoyable pastime once you get started. If you’re doing it for business purposes, remember to stay focused on your readers interests and don’t make your blog a constant sales pitch. Delivering useful information is the key to developing a successful blog. Let’s hear about your tips for a successful blog program and see if we can get some great ideas going forward…..
A lot of companies today have realized that their brand is an important thing to protect. They’ve developed SEO strategies to push their names higher on Google and Bing searches. Executives have come to realize they need to monitor and respond to the conversations taking place on line about their products. Some businesses have even taken to scrutinize the discussions taking place about their key employees. But the one thing most firms have neglected to include in their social programs is perhaps the most important capability: sales lead generation. Simple. A high quality social intelligence program goes much further than keeping an eye on Facebook and Twitter for people talking about your company. The provider will “listen” for the conversations taking place across all sources, including among others personal & business blogs, news media, consumer boards, and traditional ad campaigns. The key component of the program requires real human interaction at this point to streamline the conversations into useful data. Without the human factor, the program will produce so many “hits” that the information becomes muddled. An expert analyst will filter through the conversations and aggregate the relative discussions to present to your staff. A key information topic many companies neglect is to follow their competition. By following your competitors closely, you'll be able to respond to new ads and products, react to changes in the market, and most importantly, find out who your competitors’ customers are. By following a competitor’s brand, you can listen for consumer sentiment on their offerings. Opportunity often develops when a consumer has been disappointed in their expectations for some reason. As an example of what I’m referring to here, if a person is complaining on Facebook about their Kia (nothing personal here folks at Kia, just an example; it could be easily switched around the other way) being in the shop all the time, it would be a great time for a Chevrolet dealer to send some information to the consumer. Maybe a friendly post on their wall or a quick “tweet” on an upcoming sales event could generate a new customer. By finding out your competitor is holding an event like a webinar or luncheon with a keynote speaker, it gives your marketing staff a chance to monitor the program and respond accordingly. If you look deep enough, it may even be possible to find an attendee list or program agenda. Acquiring new business and keeping satisfied clients are the long term keys to any successful business plan. We have emerged today into an information rich society with millions of people talking and tweeting and posting on a daily basis. It is imperative business don’t ignore the conversations and they must react accordingly. The only way you can react accordingly is to know what is being said. I ‘d enjoy hearing how all of you are handling your on-line listening and what types of programs you’ve put in place to respond to what you’re hearing. Is Your Business Engaged with the Consumer? How engaged is your company? 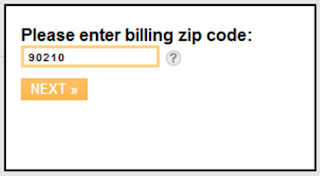 Have you added an interactive component to your web site so Consumers can share their sentiments? Do you have a full time staff whose function it is to listen and react to your Customers’ comments and concerns? The explosive growth of today’s social channels like Twitter, Facebook, Yelp, Digg, Linkedin, Consumer Complaints, and many, many more has created an instant need for businesses to respond publicly to the conversations and topics brought forth through social channels. Only a few short years ago, the typical business website would contain non “click-able” pages of information for a Consumer to review. There’d be pages for product descriptions, the dreaded “About Us” page that is only read by sales people, and usually some legal stuff like privacy disclosures. The leading edge companies might have had a video of some sort but the with the dial up internet connections of years ago, many Consumers couldn’t realize the true benefits of video. All this has changed with the readily available high speed connections most of us have today. These days if your company doesn’t have a “page” on Facebook, a “username” on Twitter and Digg, or a “profile” on Linkedin, you’re business is not involved in the social conversation and may be doing tremendous harm to your business name and brand. By not participating, you are taking one of the biggest risks of your professional career : not knowing what is being said about you! Years ago, it was pretty difficult for a single Consumer to cause any harm or add any significant value to a business reputation. Methods of communication were pretty limited. Maybe the Consumer could file a complaint with the Better Business Bureau, or write an editorial in your local paper, maybe even call in to a local radio station and get 30 seconds of air time, but ultimately, there weren’t a lot of options and the audience was very limited. Same problem with a recommendation. If a Consumer had a great meal at a restaurant or received excellent service from their cable company (I know, that’s highly unlikely) options for praise were just as limited. Maybe a call to the owner of the business or a letter of praise about the specific employees involved, but again, unless someone saw the letter of praise hanging on a wall somewhere, there was not a great deal of benefit for the company to be derived from this type of positive feedback. Today’s social media channels have changed all this. A Consumer actively involved with Twitter or Facebook can literally have millions of “Followers” or “Fans” they can reach out to instantly and either positive or negative feedback can have a dramatic impact on a business or brand. Comments can spread like wildfire, allowing a single point of view to go viral and become known worldwide almost instantly. If not handled appropriately, the results could be catastrophic for a business. For example, the data breach Sony experienced with their Playstation 3 online was publicized worldwide only moments after it happened. It involved up to 77 million Consumers! Think of how many X-Boxes must have been sold in the following weeks because people were afraid to be compromised using a Sony Playstation? Sony has been trying to repair their reputation ever since. In order to effectively protect your business name and brand, you need to develop a social strategy to gather information, and engage your Customers and potential Customers. Add a blog to your web page, create a “feedback” page for your Customers to use, consider a “live chat” feature to interact immediately, and add video sessions to your site and if possible, use different employees when you film them. We all like to see fresh faces and it creates a picture of a more diverse company if you have more faces in front of the public. How many people remember the auto attendant “Claire” from Sprint PCS?........A big pet peeve of mine is on the “Contact Us” pages where you click on it and it goes to an email address like Support@abccompany.com I always recommend to businesses that they make this piece more personal, and have it go to a person of some sort. It doesn’t have to be a real person, but it can be made to appear as one. Many companies have created “People” to engage Consumers. Just create an email that goes to something like Claire@abccompany.com and you’ll get a lot better feedback. You can still route it to a group of support reps if that’s your plan but it definitely gives a better personal presentation that the Consumers' experience with your brand matters to your business. And lastly and most importantly, you must monitor the social conversations about your company and brand. You need to develop a staff to listen and react to any publicity, either negative or positive about your products. If you respond quickly to negative discussions, you will limit the impact of them. If you respond to positive praise, you will gain tremendous benefits from the good publicity. You’ll need to contract with a company to provide the monitoring capabilities for your business and then create a plan to deal with what you uncover. If you search within your existing staff and don’t have the required skill set to handle this task internally, don’t ignore it as it will not be going away any time soon…….Outsource the process to a professional. Contact me @DaveHanron on Twitter or leave me a comment and I’ll be happy to assist in your selection of a supplier for your social media research or development. Buttons, Buttons, & More Buttons --Where Does It Stop? Buttons, buttons, and more buttons……..
First we had the “Follow Me” button from Twitter. Originally, this button would link a reader to a Twitter account and you would have to manually follow the individual or business. This button did allow readers to easily link an individual to their personal Twitter account and follow their tweets. It simply was a two step process. You see this button on virtually everything these days, from blogs, to news articles, to corporate websites, to TV shows and movies. Shortly after the “Follow Me” button, Twitter announced a new “Follow” button which eliminated the two step process and automatically starts following the individual or business without ever leaving the web page. Then there is the “Tweet” button. On August 12, 2010, Twitter launched the “Tweet” button. This button allows you to share links directly from the page you’re on. When you click on the Tweet Button, a Tweet box will appear -- pre-populated with a shortened url link that points to the item that you’re sharing. This made the act of tweeting something much more simple. The buttons don’t end with Twitter. Facebook has gotten into the act with their “Like” and “Share” buttons. On April 21, 2010, Facebook announced the new “Like” button which allows users to show their approval of any piece of content on these sites with one click. You can also include a little note saying why you like the item. The “Like” button has basically replaced the “Share” button. On June 1st, 2011, the social media company Klout launched it’s “+Klout” button which allows people logging into their dashboard to add “Klout” to any of their peers spheres of influence like social media, technology, music, films, sports, etc. Each day, Klout users get 5 “+Klout’s” to add to whomever they wish. 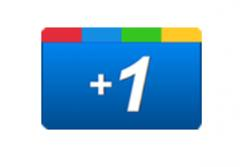 Google has jumped into the fray with it’s “+1” button. This allows users the add their support to any article or website they visit, helping to push the site up in Google’s SEO ranking. As Google’s web crawlers scour the web, they will see the “+1’s” on sites and place them higher on their credibility scale. Don’t forget Linkedin. They don’t want to be left out of the button craze. Linkedin has the “Linkedin Share”, “Login with Linkedin” and “View My Profile on Linkedin” buttons. Digg, the social news website, has the “Digg This” button where you vote for the content of an article, pushing it up higher on the distribution pages. Bottom line here is every social media type site we have been exposed to is trying to find ways to get it’s presence included on as many sites as possible. It’s too early to tell if there is any type of underlying data mining going on with these buttons. Are they recording topics we “Like” and “Digg” for future marketing purposes? The official responses to this may be “no” but do we believe it? I really want to as I enjoy the social media world and find the more social intelligence I’m able to gather, the better off I am. But remember, the use of these buttons is exploding in volumes. According to a May 24, 2011 interview with Techcrunch Disrupt, Carolyn Everson, Vice President of Global Advertising Sales at Facebook, revealed that 50 million likes are clicked for brands each day. I’m sure I’ve missed lots of buttons and would love to hear from my readers on any I’ve missed…I’d like to see how many we can actually come up with. Looking To Cut Operating Costs? Looking to cut operating costs? Monthly Real estate bills taking a bite out of your receivables? Insurance premiums on the rise? Payroll costs soaring? These are all major concerns for today’s small and mid-sized businesses. These day to day incidentals are necessary evils to stay in business and keep your company operating. Or are they? These escalating expenses are perhaps the largest concern of business owners and operators today. Many product lines require a certain number of staff and inventory in order to keep the operation running effectively. Over the last 5 years, a new class of businesses has been developed to address just this area of concern. “Business Process Outsourcing” or “BPO” companies have sprouted across the country. These BPO companies have made it their business to offer the back office services that many of today’s smaller businesses require to operate. BPO companies can provide the staffing necessary to service, maintain, connect, deliver, invoice, and collect for the services your company may offer today. All of these services are available without the overhead of real estate costs for the call center or warehouse facility. No insurance premiums to cover health, dental, or life insurance for the employees. No lost or down time because of short staff during the summer months when vacation time is at a premium. “Not to worry, Bob’s here. Bob from Account Temps. Bob has finished the reports you’ve had on your desk and reorganized the President’s files. Why don’t you take the rest of the week off? We’ll be fine. Bob’s here!”. Well, you know the rest of the storyline but you understand where I’m heading. Outsourcing for back office business needs has become a big business in and of itself. The BPO companies are able to take advantage of the “demand” for staffing and services by providing the “supply” of labor and IT products to fulfill the needs of their customers, the small and mid-sized business owner. Need a new phone switch for your call center? Don’t spend $300k to $600k on new switch and phones. Consider “Outsourcing” it to a BPO company and let them do the work for you. Maybe outsource the call center function as well? (and don’t be concerned about shipping jobs “overseas”….. There are plenty of BPO companies operating 100% within the United States). We all know the best way to grow any business is to add new revenue producing customers. Improving back office equipment is great when times are good but in today's tight economic situation why not consider an alternative? In exchange for reasonable pay as you go fees, you can take the capital saved on the asset purchase and put it towards marketing and sales, which will help grow your business, not simply keep it operating in place. In earlier years, outsourcing was limited to on site replacement labor of temporary workers. Today’s BPO companies have taken it a step further and moved to providing off-site labor and IT services, covering a wide variety of on-demand business services as needed. All benefits and salaries, real estate fees, insurance premiums, and operating licenses are the responsibility of the BPO companies.